The latest instalment of the Halo saga plays a pivotal role in regards to the future of the franchise as well as for the livelihood of the Xbox One. According to critics within the industry, this may very well be the game to convince consumers that the Xbox One is a far better choice than that of the PS4 due to its offerings of exclusive games. As far as the game itself is concerned, it is classic Halo with a handful of twists that expressly up the scale as well as offer an enhancement to the overall gameplay. The feel of this latest offering of the popular game is that of a modern shooter. This time around, a number of the Blue Team consist of standard Halo action. When playing solo, it is possible to have three member of the Blue Team working with you, rushing in for a swift revive in the event that you go down as well as fighting alongside of you. It is important to note that the team members are not smart enough to do all of the fighting for you, but they are smart enough to ad you as needed or is warranted. There are instances throughout the game in which the Blue Team will be unable to progress to the next objective without your command and leadership. Additionally, you are able to instruct AI team mates with single button commands in order to get them into better tactical positions or to target specified enemies. 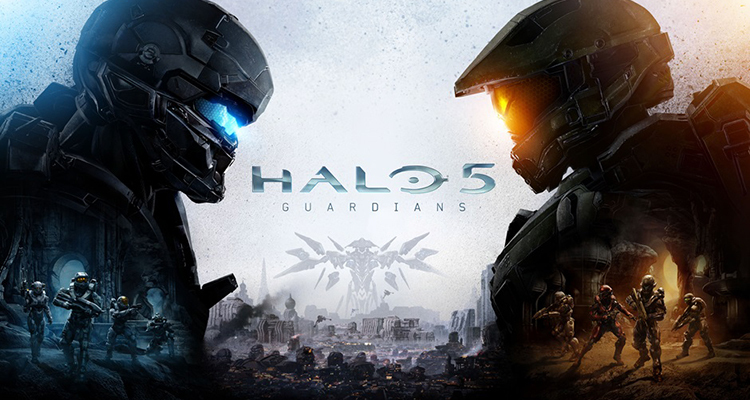 Do note that, this will take some getting used to, but so will the other major change that has been given to Halo 5. You now have an iron sights view. This does make is easier in regards to the use of long range and medium range weapons as well as the targeting of enemies at a distance as well as in close fighting quarters. Even with that being said, it makes far better sense to shoot from the hip. Fortunately, the Blue Team does get better as you progress through the game. Also the Prometheans of Halo 4 make an appearance in the game. Halo 5 becomes even more epic with the Covent bringing out the Canyon filling Kraken. This is truly an edition of the Halo franchise that is brimming with impeccable graphics, amazing plot twists as well as a wide range of characters and possibilities. Most critics of the game have high hopes for it and contend that it is more than enjoyable whether in multi-player or single player mode.